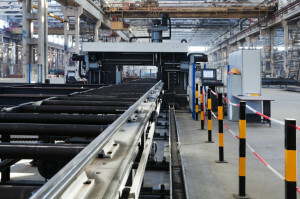 Wireless solutions now enable mobile devices with industrial applications to share data with manufacturing equipment. Machine-to-machine (M2M) communications are enhancing automation and productivity. “Smart manufacturing” also presents challenges – making sure data streams are reliable, secure and safe. Mann Wireless is highly experienced in designing and installing systems that support all major commercial carriers, 3G/4G (LTE) protocols, private land-mobile radio (LMR) and public safety technologies. We also have unparalleled subject-matter expertise in the most current distributed antenna system (DAS), small cell, bi-directional amplifier (BDA) and repeater technologies in the wireless space, allowing us to design a fit-for-purpose solution for your manufacturing facility. Our team has extensive expertise developing and implementing manufacturing wireless systems. We understand the unique challenges and concerns when operating in this type of environment and proactively plan and execute our activities accordingly. 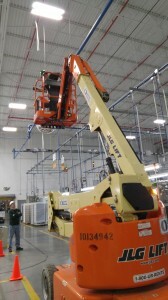 Mann Wireless is also an OSHA compliant company and health and safety are our top priority.